Chefs Roberto Manuel (L) and Peter Ray (R) with William Mordido (C). Following on from his success at the Auckland Regional Youth Skills event in May, SKYCITY Auckland Second Year Apprentice, William Mordido has taken out the top prize in the cooking section of the New Zealand World Skills Competition held in Christchurch 5-7 July. Winning the national event in his class will see William heading overseas to represent New Zealand in the World Skills Final held in Liepzig, Germany as a member of the Tool Black Team in 2013. • Plate six portions of quail which had to include raisins, farce, sauce and or a dressing. • A Mystery box challenge which contained a side of Akaroa Salmon and scallops plus ingredients from the common table. Competitors had to use two different cooking methods when preparing the meal. • Create three miniature desserts using chocolate, fruit, a sauce and Garnish. The Youth Skills competition is an annual event across all industry trades and fosters the best apprentice talent from throughout the country. 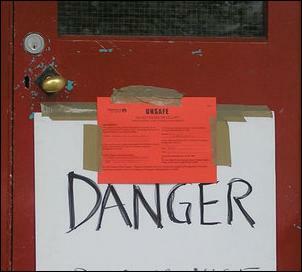 Team members are compromised of all trades including plumbers, carpenters and of course chefs. “When my name was called for the Gold medal, the feeling was very surreal. Winning first place was a very gratifying experience and all the hard work and time sacrificed to train had paid off. I now have the opportunity to travel to Germany to compete in the International competition which I hope will open more doors for a successful career” says William. 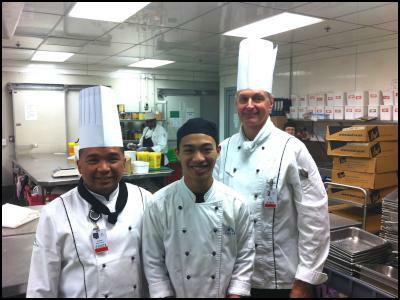 William was mentored by two SKYCITY Chefs, Roberto Manuel and Peter Ray, both of whom have spent many hours training William outside of their normal working schedule. Results from the 2012 New Zealand event continues a great track record that SKYCITY Auckland has at the event, showing both the calibre or chefs and the training culture within the business. This is the second SKYCITY apprentice both Peter and Roberto have trained at this level in recent years. Find more from SKYCITY on InfoPages.